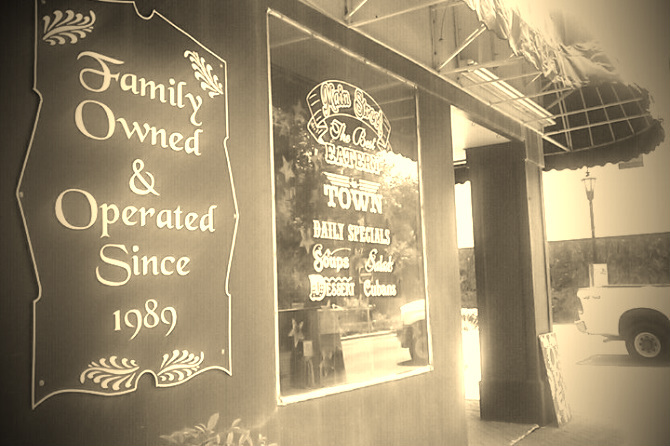 Main Street Eatery is a family friendly eatery serving historic downtown Brooksville since 1989. We strive to serve every guest quickly with a smile in a clean and relaxed atmosphere. Come join us for a quick business lunch or stay and visit with friends over a delicious homemade dessert.